This little treat is designed to help the Gents relax after a day out on the playing field or a busy day at work. 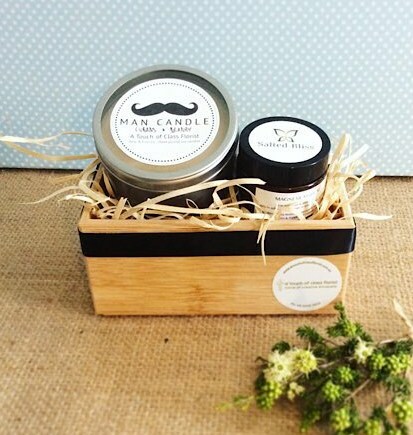 Gift boxed in a reusable bamboo tray this hamper includes a scented Bear and Finn Man Candle to refresh the room as well as a pot of Salted Bliss Magnesium Balm. Magnesium Balm is wonderful to help soothe any sore muscles and help you relax.